The click-bait continues! I was asked about ten books that stayed with me "for some reason" and I have only managed to talk about four of them. Because I often don't take the time to breathe (thank you, +Karen Schumacher, you are correct) I took a break and will likely take another yet. Still, I waffle enough and I still haven't done any original writing, so on with the list! 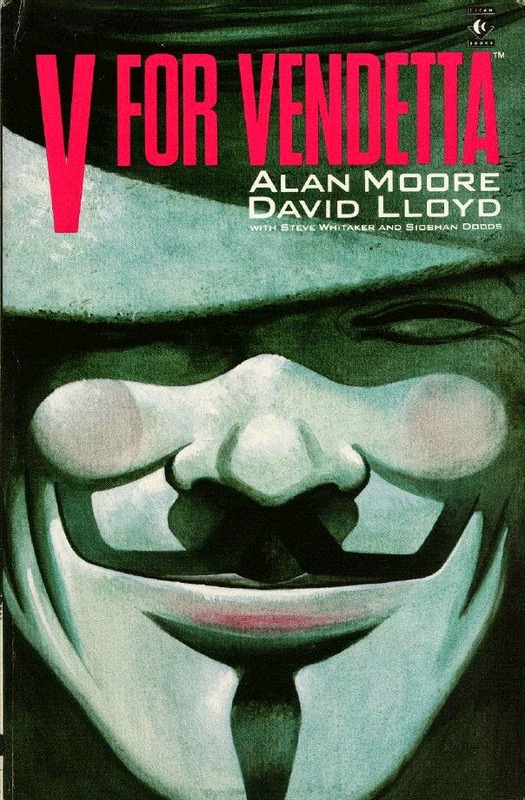 V for Vendetta by Alan Moore. Obviously a graphic novel and I actually read it quite late. It was after the film came out, I loved the film and wanted to know why Alan Moore had not supported the adaptation, after all, it seemed to be politically apposite and challenging. After reading it, I understood. It's a manifesto, a love letter to anarchism, and it is glorious. The film, though very good and enjoyable, does not match up to those ideals. I lived through Thatcher and so I understand the impulses within it, I get the parallels and I like the allusions to the 1980s that pepper both the narrative and the political posturing. This is fantastic, it stayed with me because it really made me think hard about what anarchy is and how it can be employed and used. Oh, and it has a fantastic plot too and you must read it. Goodness, I am queen of the run-on sentence! Right, next book. 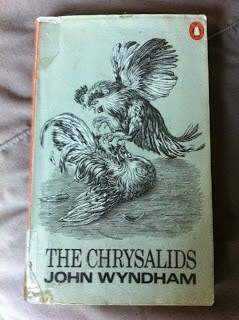 We shall move to The Chrysalids by John Wyndham. I read this from my mother's library when I was about eight. I loved it. I loved the story of people who had developed telepathy and I loved the fact that, despite being a post-apocalyptic novel, the hints at the nuclear firestorm were subtle enough that I took my time getting them. I loved the female leads and their power - this was around the time that I watched Labyrinth for the first time and wanted to be Sarah - and the way that it was a female helicopter pilot that rescues everyone at the end. And the little girl who called to New Zealand with the power of her mind alone was actually quite empowering to a lonely introvert. And something about this story has haunted me ever since. I have failed to find it in second hand shops (where I have found virtually every other John Wyndham book, even Web) and the two occasions I found it in book shops I lacked the £9(!) to buy it. It's short, I read it in an afternoon, and yet it's beautifully written. 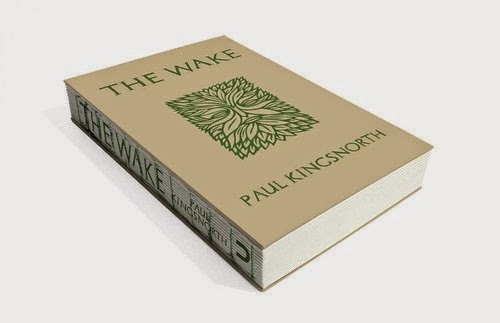 Finally, for tonight at least, there is The Wake by Paul Kingsnorth. This is the most recently read book on the list. It's a great book to hold, having no spine, and it feels like a book ought. Nestling in my hands, throbbing with the power (that word again) within. I felt like I was visiting real history, not the sanitised versions one gets in bad historical fiction but something visceral and real. I finished it when I was visiting Auschwitz with a school trip. It was surreal and also strangely fitting to be thinking about identity when reading a book that tackled that and the link to landscape. How much of a product we are of where we live and how we relate to that landscape. Set in Pre-Conquest and post-Conquest angland it was a story about the end of the world. It was a story as much about the language (itself made-up to mimic eald anglisc enough to look like it but remain legible) as it was about the people. Although, as a classic novel, it is a bit simplistic and the ending is a bit of a cop out, it was a book that brought an atmosphere that cannot be denied. An atmosphere of mist and legend. And something one immerses in like a fragrant bath with scents and candles and petals on the water. Somewhere downstairs there's the smell of a wonderful meal and the promise of something excellent for dessert over the dining room table. That's the feeling of this book. Let's face it, anything that can make room for itself during the assault on one's sensibilities that is a visit to Auschwitz is going to stay with you. I'll let Mr Kingsnorth himself take up the task of making you buy this. And I'm still writing breathlessly. My apologies. I'm going to need to lie in a darkened room for a bit methinks!